I met Major Wilfrid Lawson Gibson many times but not in life. You see a large framed photograph of him in uniform mounted upon a horse greeted the visitor to my Granny’s Edinburgh home. I always wondered about the horseman but I was young and had not yet realised how important narrative was to me. So it was that I never once asked granny about her father. Wilfrid Lawson Gibson was born in the cottage in Glamis in 1874. I have been in the room he was born as it is now the Estate Office for the Bowes-Lyon family of Glamis castle. Nearly all of Wilfrid’s siblings were named after the Queen Mother’s family but Wilfrid was named after the Liberal politician whose life cause was for the temperance campaign and total abstinence. As a radical he campaigned for the abolition of the House of Lords. 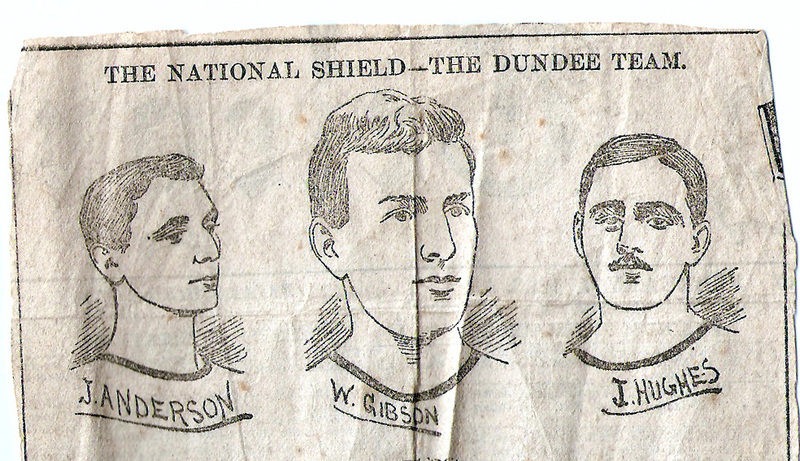 Wilfrid Lawson Gibson was a lifelong athelete and a superb gymnast and was capatain of the Dundee team that won the 1893 National Sheild. Glimmers of this past stay with me in a curious way as his son, also Wilfrid, in his seventies used to perform ‘head stands’ upon wooden chairs to entertain his nieces and nephews. This taught me that sometimes a new wordly understanding can be made if it is viewed upside down! It was necessary for Wilfrid Lawson Gibson to be athletic as he to get to school he had to walk the 12 miles from Glamis to Harris Academy in Dundee. This journey made on a Monday and returned on a Friday. 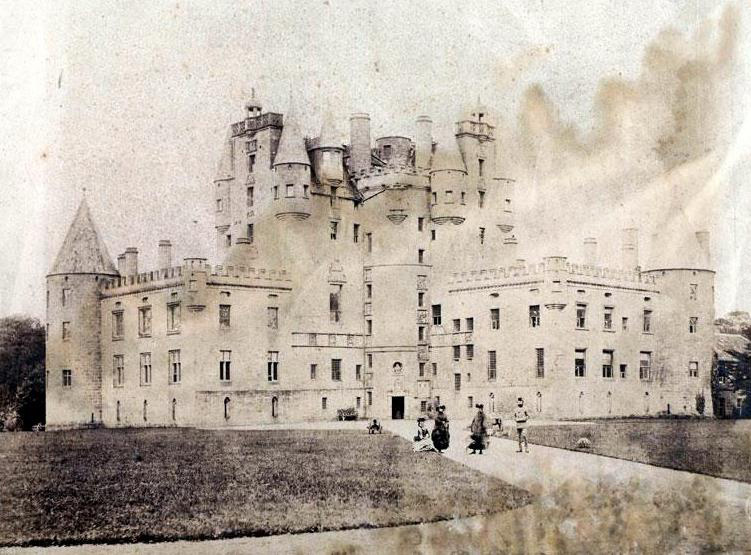 Wilfrid was 16 years old when his family left Glamis for Broughty Ferry. Wilfrid was to practice as a Civil Engineer, and early in his career moved to Morpeth, Northumberland, where he learnt surveying. On his return to Scotland he was to gain employment as Civil Engineer for West Perthshire, which was a huge area, and clearly a massive undertaking. One must remember that this was the early part of the last century, a time when the need for quality, consolidated, tarmacadam roads was vital for the flourishing automobile industry. 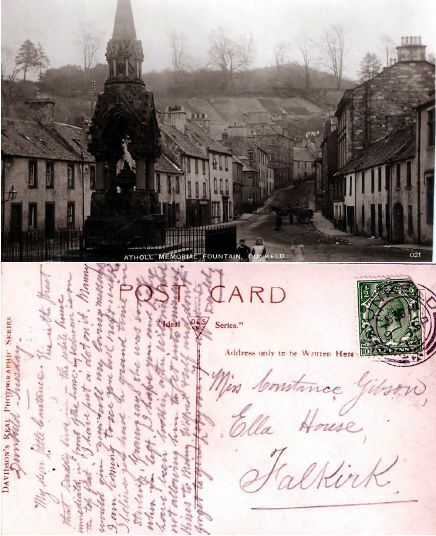 Wilfrid ran offices in both Perth and Dunblane, and presided over a large workforce. One of Wilfrid Lawson Gibson’s proudest achievements was the Duke’s Road, Trossachs. His winding road through the mountainous Dukes Pass survives to this day. Indeed, nearly a century on from its construction, the tortuous bends were to induce nausea and vomit of that projectile kind in his great great grandson Andrew Gordon! For his achievement, Wilfrid was presented a momento in the form of a bowl made from the last toll of Brig o’ Turk. 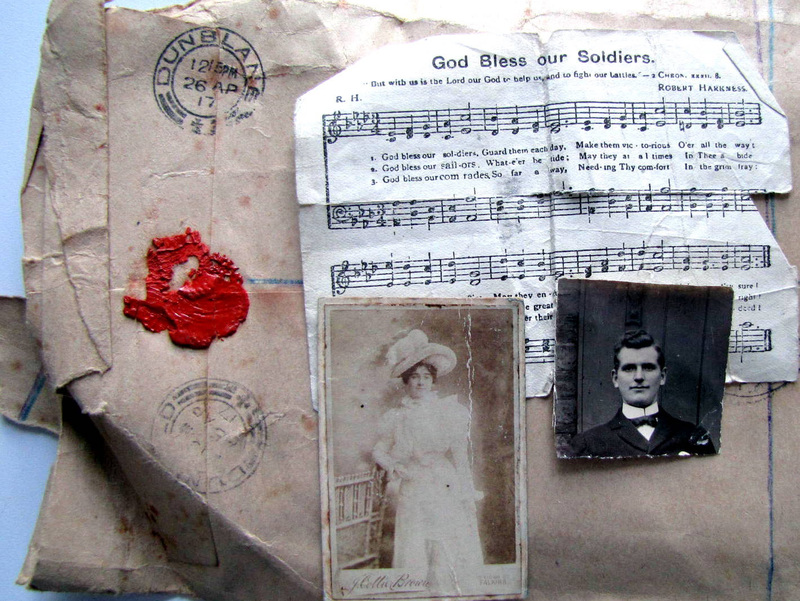 Wilfrid Lawson Gibson died suddenly of pneumonia in April 1942 whilst on a seaside holiday in Dunoon. That was a year before his grand-daughter Margaret Scott was born, thus she has no memories of him. Fortunately however, being the first born grandson, John Gibson Scott remembers his grandfather well and indeed with great affection. Indeed mention his grandfather Wilfrid today and John Scott’s eyes glint and he will say: “oh yes, he was a real charmer.” Just this spring I had the fortune to read out the war letters of Wilfrid Lawson Gibson to John his grandson. 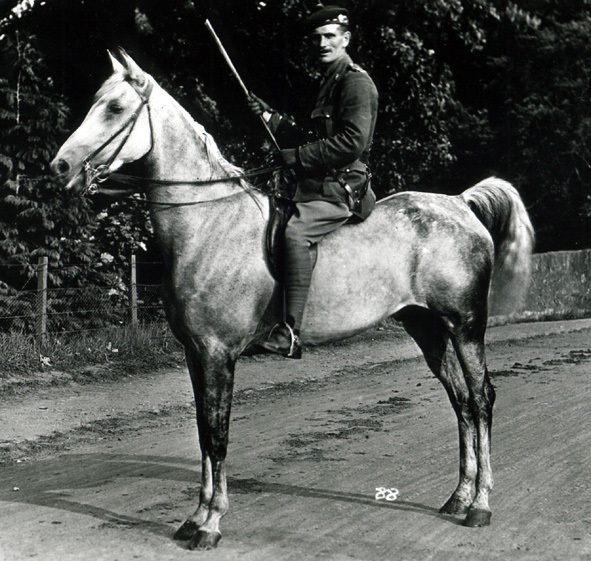 What follows here then is a synopsis of his time as a Major in the Scottish Horse and his role in the Great War of 1914-1918. I arrived here safe this afternoon. This Division will be many thousands strong which I understand is to mobilise in the big park in front of Scone Palace. I trust you and the Little Ones arrived safe at Falkirk today and that you found your mother well – no doubt she will be like most of people just now a little excited. Fancy mother coming up this morning to see me arrive. Poor lady she did look anxious when saying good bye. I assured her I would soon be back. We must all have patience meantime and hope for the best. I know I will have to ‘rough it’ a bit but I have my mind made up for that. Now dearest I hope you and the Little Ones will keep as happy as you can until Daddy returns. Will write you possibly tomorrow again. P.S. excuse scrawl I am writing this on my knee. I expect a busy time after another Squadron (103 horses and men) arrive. There are 4 or 5 other squadrons coming here though as well. We have had another big day’s work getting prepared. I am principally assisting with clerical work at Headquarters but I expect by Monday I will be getting to know what my permanent duties will be. I think we won’t be moving until Monday. as they were both looking forward to getting at the German Emperor’s throat. Kitchener. We may get a line at any moment. We won’t be sorry when we get on the move as it is getting a littletiresome waiting here. just yet although I am so anxious to hear from you. Immediately I know where my days will be a little more permanent I will advise you. Love to all and kisses to all my Dear ones. Just a note to say we are now under canvas. I am keeping very fit although my feet are inclined to blister but I must not grumble. 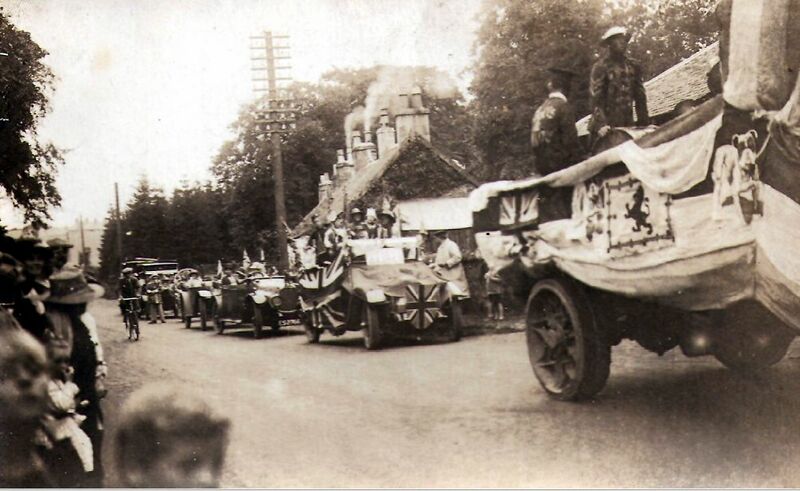 The 4th Regiment (or 1st Reserve) (450 men) went off to Scone on Saturday; they were a splendid body of men. Regiment should be at strength by the end of the week. Men continue to roll in. Lord Tullibardine is in the best of form. I have a chat with him every second day – he is very proud of his men! Major and Mrs Randall are still here; I had a talk with Mrs R. the other night, she is in a happy state! They have taken a house for the children. This is the street that Daddy lives in – the white house immediately in front of the horse; my bedroom is on the top flat. I have put a dot on it. Mummy would give you all my loving messages. I am coming to see you all next week. I believe you had a grand time in Stirling. Granny says she was sorry when you left. I hope you and Lexy have been looking after Wilfrid and not allowing him to get into mischief. Kisses to Mummy, Wilfrid and self and don’t forget to give Lexy one. I have been transferred back to the Office at Dunkeld. My kit is being brought back this afternoon from my tent to my old bedroom at old address – Perth Arms Hotel – so my sleeping accommodation for the time will be a little more comfortable although I liked camp life very much. A 4th Regiment is now being formed and I am to assist with its formation. We are getting plenty of recruits and I assume will have the 4th Regiment at full strength in about another 7 or 8 days. 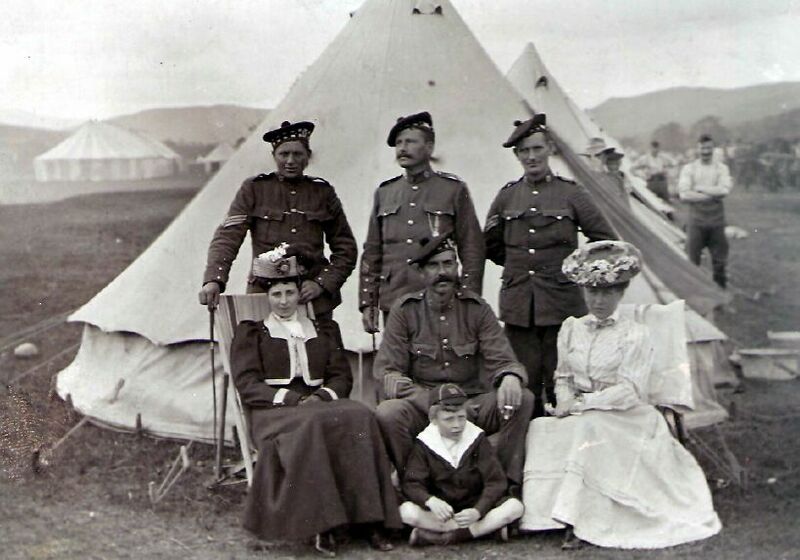 It is difficult to get equipment as there is such a demand at the Army Stores about 300 of the 3rd Regiment have not got their uniforms yet – it is rather sickening to the men as they are all keen to get to the front. We have some splendid fellows here of all stations in life – the bloom of British manhood. It has been rather wet in camp during the past 2 days although the temperature is warm. I could do with two pairs of thin socks; the thick ones are too heavy. I have written for my cycle to the section; I will find it useful to cycle up to camp. Mrs Welsh sent me a pot of Bovril and a sultana cake last week – the cake has vanished but the Bovril is still in my kit. I wrote and thanked her for her kindness. Well dearest my feet are hardening up although they blistered very badly for a time. I have been bathing them with salt and water and I find this treatment very good. I find everyone here exceptionally kind and am quietly happy with my lot although find the work hard at times, but again I must not grumble. We had a fine concert on Saturday evening; Lady Tullibardine got it up and played the accompaniments. She made a very stirring speech to the men and at the conclusion the cheering was deafening and caps flying in the air. She is a very hard worker and a great favourite with the men. Lord Tullibardine has been in London this week-end and returned this afternoon; he is like an eel just now; you never know the minute he is to make his appearance. I am glad to know the little Man is growing so well and that he still remembers his Daddy. Remember me to all at Ella House. I often wish to be with you all but I am afraid that cannot be meantime. It was whilst living in Dunblane that Wilfrid became involved with The Scottish Horse, known familiarly as the “Private army of the Duke of Atholl”. Wilfrid was a skilled horseman, sharing the love of horses that his father David had once had. This is Sunday evening and I can imagine you all at Ella House singing your Sunday evening Hymns before going to bed. There are no Little Boys or Girls here to sing to us, but we sometimes get a visit from a minister – usually called a Padre by the soldiers – who holds a Service for the men in one of the Huts. At these services we get a lot of singing of Psalms and Hymns and some of my men have got splendid voices and it is fine to hear them all joining in and singing praises to the Lord. As I am in charge of these men I have to sit beside the Padre, and I feel so proud and happy at these services and I am sure my men feel the same. It makes us all think of our Dear Ones at Home and of course most of my men have Little Boys and Girls just like yourselves. I am sure their thoughts are like Daddies and wishing they were all back beside their Dear Little Ones again. 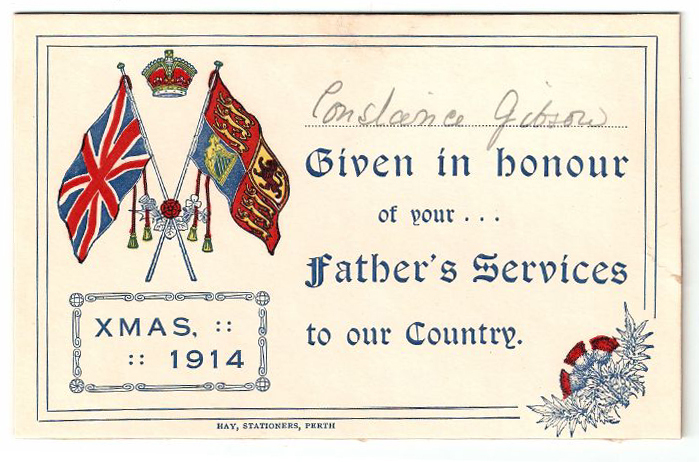 These Good Padres do lots of other work than hold services – they write letters for the men who are too uneducated to write for themselves; attend the wounded soldiers in the battle-fields and assist to bandage their wounds; and when a soldier dies he conducts a service at the grave. He also visits the Hospitals and reads stories to the poor soldiers lying in bed and tries to comfort them in many ways. 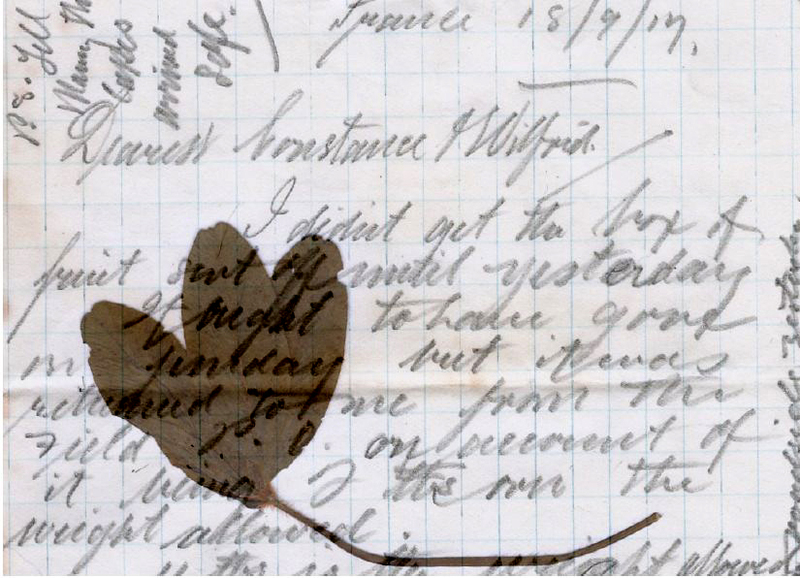 When the soldier is too ill to sit up and write, the Good Padre writes his letters. He always tries to make the men feel bright and cheery and to recognise that although they are away from Dear Ones at Home that God is looking after them. The soldiers love their Padre as they know that not only is he a good and kind Christian but he is a Brave soldier as well. The frost is very hard here and the whole country is white with snow – there is no skating and curling here as we have no time for any of these sports but I have seen some good snow ball fights. Mother said you were skating on the canal – I feel I will be having rivals when I come back! However I will be very pleased if you can beat Daddy on the ice! There are no cats here but many of the soldiers keep a dog – the dogs are nothing nice as they are of a very mixed breed. Some of the Regiments keep a mascot which is sometimes a donkey, a bear, a goat and sometimes a monkey. I saw an old pony as a mascot. The soldiers love their mascot as they think that so long as they are with them they will have luck. There are very few birds here – only the sparrow, magpie and crow. I suppose there will be a lot of others where the houses are. I am so glad you gave Daddy the muffer Constance; I think I have never been a day without it since I left: it is so warm and comfy. I think Mother would tell you that I would like another. I am glad to know that you are getting on well at school – I am sure you have made many nice friends by this time. You will soon be getting your Easter Holidays; it will be nice to get a rest after your lessons. I am to try and get some leave during the spring but I have a long way to go before I see you all. I hope you are being good children and not annoying your Dear Granny in any way and that you assist in many ways. Mind and don’t pull Uncle Billy’s whiskers when he is sleeping! 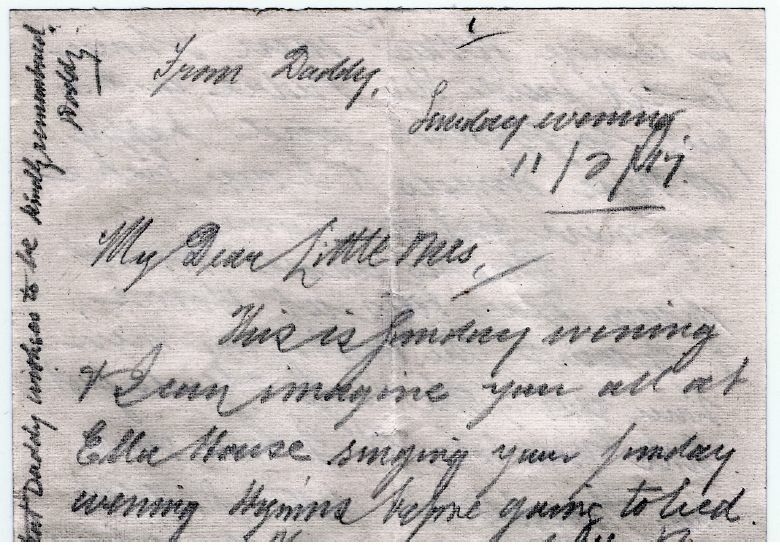 I had a nice letter from Uncle Jim the other day – he said he was to visit you at Falkirk soon. Remember me to Maggie and say she must write a letter for Wilfrid sometimes – I hope you don’t annoy her and that you are good children when she takes you to her mother’s for tea. Now Dear Ones I must conclude with many warm and loving x x x x x x x x x x x x x x x x x x x x ‘s. Give my warmest love to Mummy and Granny and say that Daddy is very well. Also tell Uncle Billy that Daddy sends his love. Sincerely hope this finds you all enjoying the best of health. Your loving and affectionate Daddy. 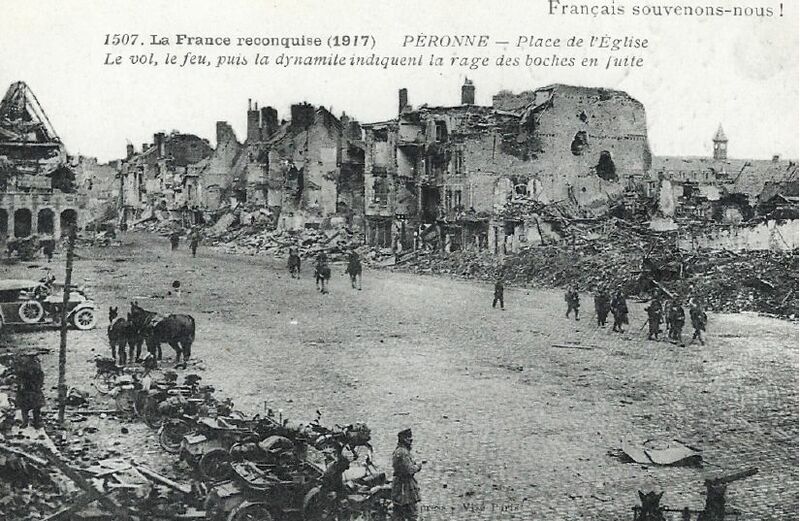 Postcard: PERONNE – Place de l’Eglise. I usually go to this place for lunch on Sundays. There is a very good Officers Club here. The streets are under my charge. My Billet is not far from here. This road is now reconstructed with a beautiful tar-macadam surface. French aerial torpedo bombs are seen on the road in the foreground. My Company was living in Dug Outs in this wood for 3 months this spring. I was over this road almost every day. This village is about 2 miles from where I live. All vehicles (French) here have got hoods, you can see one in this photo. The hoods are a protection from the sun. Unfortunately this pretty village is now very much destroyed by the war. 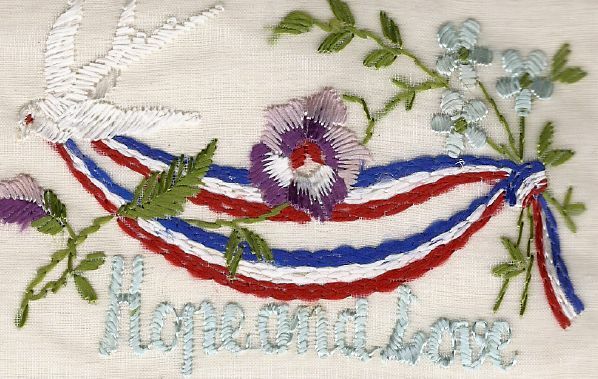 It is just possible the War Office will be advising you that your Hubby was slightly wounded yesterday so I am hastening to let you know that there is nothing serious and please don’t get alarmed in any way as I am quite all right! A shell splinter got me in the forehead and made a fairly deep cut – it caught me ‘sideways on’ – which was rather fortunate – hence the wound was slight. I immediately applied field dressing and afterwards was taken to a CCS (curiously enough Sister Schofield’s) where I got an injection of anti-tetanus to prevent blood-poisoning and lockjaw. I was rather seedy last night but I feel much better this morning and am able to be in the office. It was at the CCS that all particulars were taken regarding me so hence me warning you of a letter addressed from the W.O. Everything is in a state of flutter hence I have now 5 R.C. C’s and something like 2 to 3000 other labour units so I don’t get much time to be weary. The weather has been bad during the past 2 days – a lot of rain – making movement and work very difficult. Thanks dearest for the shortbread it was splendid. Tell Constance I enjoyed her loving letter and that I think her writing is an improvement on the last. The little chap is getting on well with his printing but tell him he has spelt Wilfrid with an e instead of an I; say to him that ‘WILFRED’ is too common and not so swanky as WILFRID. I saw Chapman the other day – he is quite fit again and like myself getting plenty to do. Forbes wrote to me last week – he is likely to be transferred further north soon. Major L.G. is gaining further west so you see how a household gets broken up here. I think I told you that 301 RCC was a short way south of us here. Now Dearest I hope this finds you all well at Ella House and that our dear Mother is keeping bright and well.Tell her that I am afraid I won’t be able to keep my promise and come back and see her before the end of October but that I hope to be soon after. Give the Little Ones Daddy’s best love and kisses and say that I hope they are not giving Annie too much trouble at times. P.S. I would never have written to you re my mishap but I know you would get alarmed if you heard from the War Office. 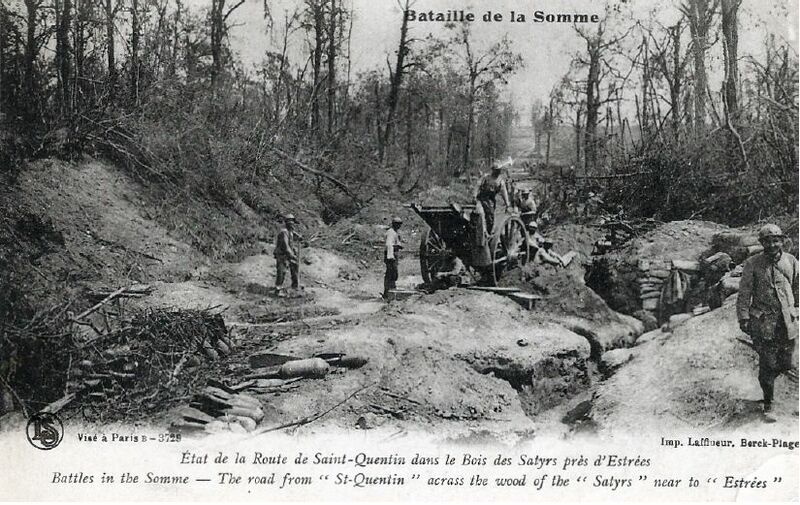 Postcard: Battle of the Somme. 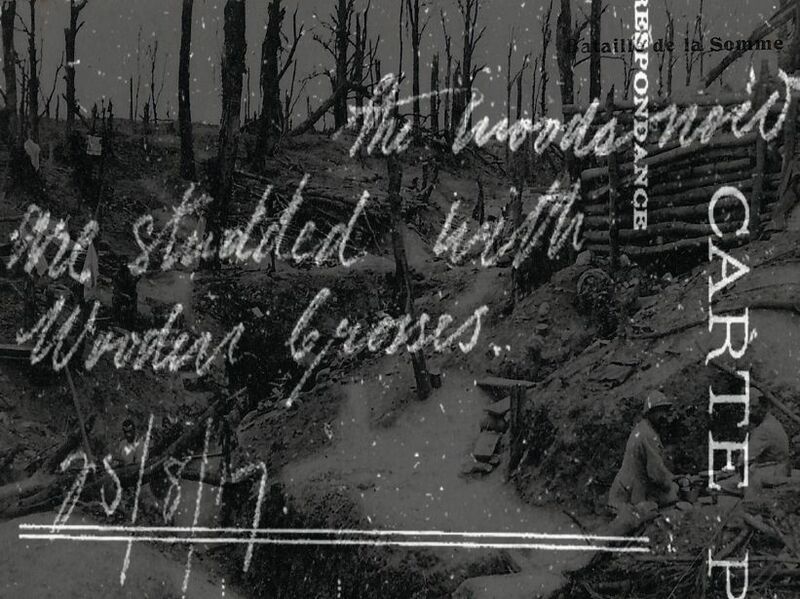 The woods now are studded with wooden crosses. 25th August 1917. I received your welcome letter and am delighted to know you are well and fit and although in that ungodly Country, Be thankful you are still an Honourable member of this world. As you know many Honourable and Dishonourable members have left sooner than they expected since this Bloody War. I would play second fiddle to no one in rejoicing to know your prosperity in Life, and in fact it is, and always has been with Little effort on your part, only your “Gentlemanly” and “Soldierly” “bearing,” with the help of God who has carried you out for the position you now Hold. And I doubt not there is still in store for you further favours, and may the Lords face shine upon you having that end in view. I am happy to say I and mine are in the Best of Health. Hoping you the same. 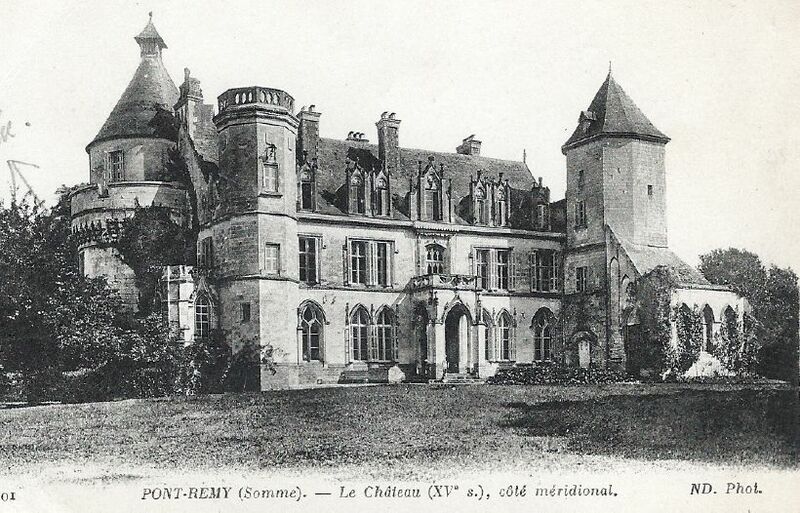 3rd May 1918: Postcard: PONT-REMY (Somme) – Le Chateau, Cote est. Where Daddy is staying (swanking) at present. This chateau was built in 1500. There is a beautiful river immediately in front of the Chateau. The walls of my office are about 5 feet in thickness. 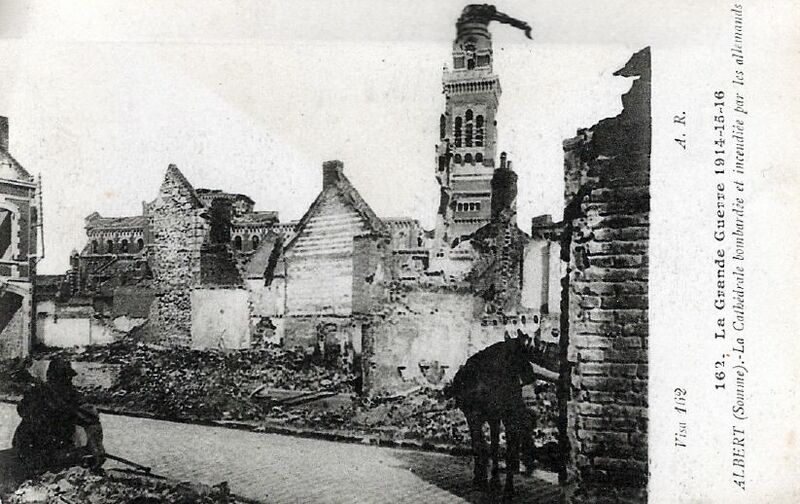 Postcard: ALBERT (Somme) La Cathedrale bombardee at incendiee par les allemands. This was once a beautiful town. I often pass here. Daddy is sorry he has been so long in writing but he hasn’t been so well lately. I am glad to say I am almost all right again and getting out quite a lot. The sands are very nice here but there are no boys and girls about, it being the winter season. The weather keeps beautiful and sunny and it is just like being at Ayr only you are not here. I don’t know yet when I will be coming home but I don’t think it will be long. It is just about 2 years since I came to France so I have been lucky keeping out of Hospital all that time. I am sending you photos of this Hospital and also of the Sands; my bedroom is marked with a ‘X’. I haven’t had my letters for nearly 2 weeks now so I am longing to hear how you are all keeping. My Clerk has been very careless in not sending them to me. However I will get all the news in the beginning of the week when I go back to my Corps. I have a long train journey back – it will take 14 to 16 hours. I hope to take lots of sandwiches with me. The officer who is in the same bedroom with me will be going with me so I won’t find it so wearisome. You will soon be getting your Xmas holidays. Hope Mummy and Granny keep well, also that Annie hasn’t had the flu. 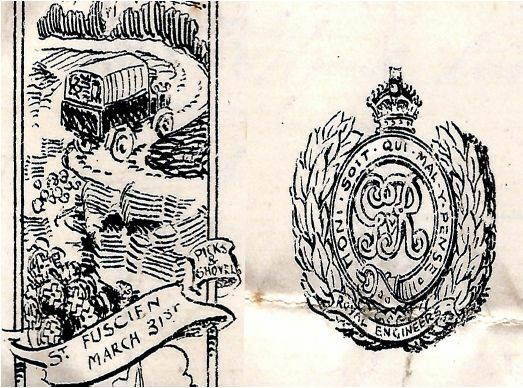 You will see from the above letter, written from his bed in the British Red Cross hospital, that it was influenza not enemy fire that nearly killed off Major Wilfrid Lawson Gibson. He was in hospital for several more months and not demobbed until 1919. 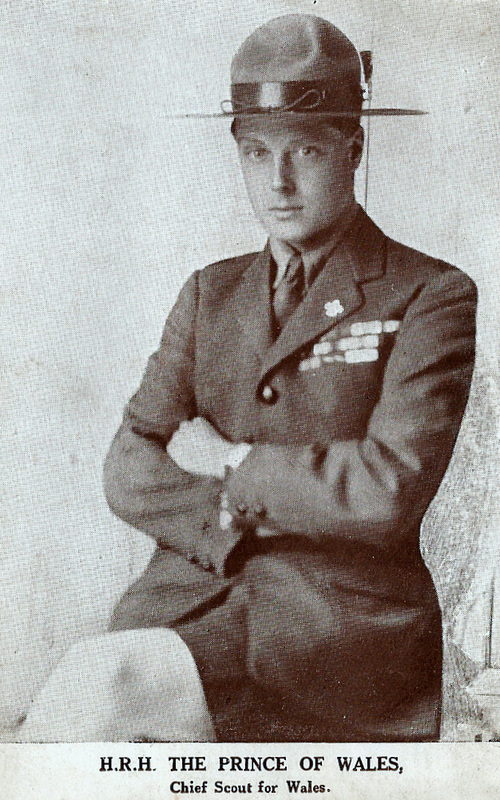 He had served more than two years in France with the Royal Engineers on the Western Front in his role as Deputy Assistant Director of roads. His main contributions were to bridge building and the safe dealing of explosives. Returning to civilian life was eased slightly for Wilfrid in that in his role as Chief Engineer for West Perthshire he had many projects on the go with the construction of five bridges, the 25 mile road between Loch Tay and Loch Lomond and his proudest task the Trossachs road. In 1935, with a group of British surveyors, Wilfrid Gibson travelled to Bertesgarten where he met Hitler (Führer) of Germany. 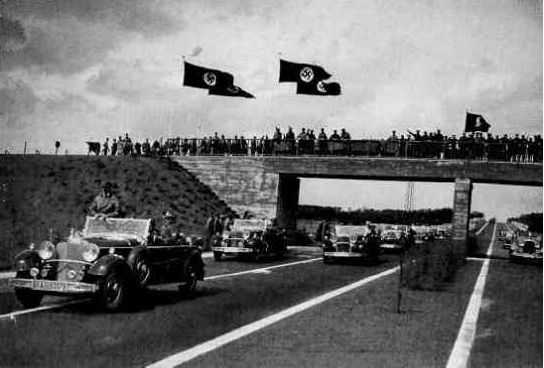 The previous year Hitler had assumed total power as the leader and one of the first new laws he established was to regulate autobahn planning and construction. Wilfrid, and the visiting surveyors were quite taken with the autobahn programme, and when he returned home Wilfrid told his four year old grandson that he wanted to build an autobahn between Dunblane and Braco! This will explain to you why, along with the three-moustache tree in disguise (at Keir roundabout) that I now refer to this stretch of the A9 as ‘Hitler’s autobahn!